“How I Met Your Mother” is a sitcom that tries to do things a little differently. In a way, the show is one long, extended flashback sequence. The elder Ted Mosby (played in voiceover by an uncredited Bob Saget) is relating stories of the past to his children about how his younger self (Josh Radnor) and children’s’ mother (whose identity is yet to be revealed) came to meet one another, and in the process regales them with the comical adventures, misadventures and learning experiences had by his younger self and his four closest friends: Canadian news reporter Robin Scherbatsky (Cobie Smulders), shameless womanizer and fun addict Barney Stinson (Neil Patrick Harris), and the hopelessly-in-love-with-each-other couple Marshall Eriksen (Jason Segel), a lawyer, and Lily Aldrin, a teacher. A large and varied cast of supporting characters round things out. The show is told in a non-linear structure that flashes back and forward to explain absurd situations that befall the group and Ted’s quest to find the girl of his dreams. With rapid-fire humor and sharp wit, the show examines many aspects of relationships, careers and everything in between. Each of the show’s memorably unique characters has their own set of problems, and they all help each other in their own unique ways. “How I Met Your Mother” is filled to the brim with bizarre situations, life lessons, and pop culture references. 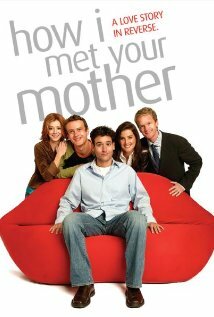 Keeping the show fresh and interesting, the lives of the characters “How I Met Your Mother” do not remain static. People enter into and exit from relationships, change jobs, change living arrangements, and build families. However, no matter what happens or how their lives change, the group always remains a steadfast support group for one another, and are always having plenty of laughs as they learn about life along the way. 10 April 2006 - Season 1, Episode 18: Nothing Good Happens After 2 A.M.
18 September 2006 - Season 2, Episode 1: Where Were We? 22 September 2008 - Season 4, Episode 1: Do I Know You? 17 November 2008 - Season 4, Episode 8: Woooo! 15 October 2012 - Season 8, Episode 4: Who Wants to Be a Godparent? 14 January 2013 - Season 8, Episode 13: Band or DJ? 21 January 2013 - Season 8, Episode 14: Ring Up!